LEGENDARY BASEMENT SALE – SAT SEPT 30 (ELLWOOD CITY)! 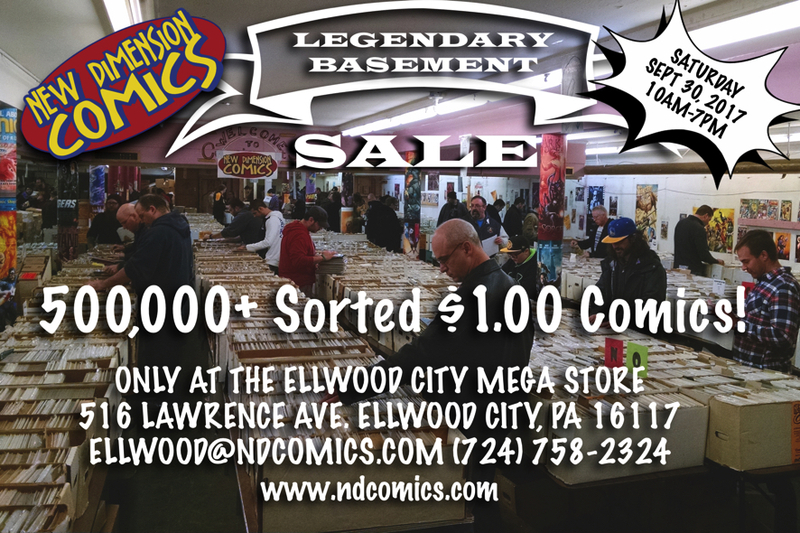 LEGENDARY BASEMENT SALE – SATURDAY SEPT 30 (ELLWOOD CITY)! *UPDATED* For this event we will be opening the doors at 8AM. Shop one of the largest $1 book selections in the country! With over 500,000 sorted books all in one room. We only open the basement 3 times a year, so you do not want to miss this event. You know your collection needs those holes filled! Also, please note that there is a festival going on it Ellwood city that day and Lawrence Ave will be closed. You may park at the VFW for free, just give us your license plate number when you get to the store. ← FREE GRAPHIC NOVEL DAY – SATURAY SEPT 2 (ALL LOCATIONS)!